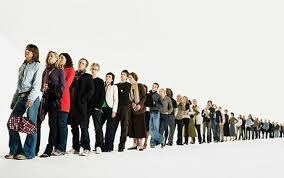 Queue management has always been a big problem for banks and building societies. Queues are bad news for customers. When queues form at peak periods like first thing in the morning, at lunchtime or shortly before closing, they are made up of people who can’t visit at any other time, so the time they have is precious and the irritation they feel at having to queue is amplified as a consequence. Working with data and analytics specialists MOit, Inaccord has developed innovative methodologies whereby banks and building societies can monitor, manage and minimise branch queuing. Contact info@inaccord.co.uk for more information. Even in these busy branches, where there was an average of 7 available counters, over 50% of them were closed. Why Are Queues Such an Issue for Banks? It’s hardly surprising then that queuing remains one of the most common reasons why people complain to their bank or building society. Despite improvements in the use and application of technology, internet banking, telephone banking and other means of remote banking, for most banks queues remain the biggest source of customer complaints. A big part of the problem is that there has been little or no way for banks and building societies to identify statistically which branches suffer most from queuing and those which aren’t doing everything in their power to avoid queues – like having all the counters open at peak times. On a branch by branch basis, it has always been difficult to know, in an ongoing and dynamic way, where queuing issues are worst. Local management, just like the fishes don’t see the water they are swimming in and there’s an age old acceptance that ‘there will always be queues in branches at peak times’ – the outcome of which is often to ‘do nothing’ and to not properly manage staffing levels to ensure there’s a full contingent available when the customers require that to be the case. There is another factor. Just as fish don’t necessarily see the water they are swimming in and we don’t always see the wood for the trees, branch management staff are not always as acutely aware of the repercussions of queues and might not always be doing everything they can to make sure queuing issues don’t arise by doing everything they can to avert situations where customers are consistently met with long queues and closed counter points. It’s a generally held management principle that people generally focus on things they are measured on and, even more, things they are rewarded on or if there are consequences for them if they don’t deliver or under-perform in a particular area of their roles. For all sorts of historic and technical issues, branch queues are something that hasn’t been measured. Branch Managers don’t have a queue measurement standard to work to, they don’t have a target, it doesn’t affect their pay and reward and it doesn’t come up in their appraisals. Where it does make a difference is in terms of customer satisfaction measures and complaint volumes – both of which are generally recorded, measured and play a part in determining performance ratings. So if queues are a major factor in driving complaints and customer dissatisfaction at a branch level isn’t there more of a focus? The answer again is that it’s ‘difficult to measure’. Working with data capture and analytics specialists MOit, Inaccord has developed an innovative new method by which banks and building societies can monitor and manage branch queues. Using the new approach, banks and building societies will have real time access to data that will help them better manage branch queues, improve customer experience and reduce the number of customer complaints about branch queues. What Have Banks Done to Reduce Queuing? In addition to technology, banks have also tried to counteract the fall-out caused by branch queues by having extended and flexible opening hours, ‘meet and greet’ and ‘queue busting’ systems by which people are shepherded, where possible, away from the branch counters so as not to accentuate the issue. At the same time they have endeavoured to introduce more flexible working to try to cover the peak queuing times. If Supermarkets Can Manage Queues, Why Can’t Banks? Supermarkets are increasingly using technology to manage queuing issues by monitoring the number of people entering a store and estimating how long a person will be in the store (did they pick up a basket or did they have a trolley) and staffing the tills accordingly. Supermarkets have a number of advantages over banks and building societies when it comes to queues – there is normally a time-lag from when someone enters the store and when they appear at the checkout i.e. the time it takes them to do their shopping; supermarkets generally have more flexibility in terms of the number of till points they have available and the capability to deploy staff who were engaged on other duties to man the tills at busy times and, increasingly, the ability to use ‘express checkouts’ and bar code reading technology to speed things along and reduce pressure on checkouts. Supermarkets are also better able to cameras to monitor queues and take action accordingly. So what are the issues that banks and building societies face that supermarkets don’t? Immediacy – Firstly, customers who go into a bank or building society go straight to the counter – they want to make a transaction and the counter is where they need to go to make that transaction – there’s no delay, no time to manage things differently. From there being no queue one minute, there can be 10 people in the queue the next. Limited Counters – Banks and building societies also have a limited number of counters – partly because branch premises don’t always allow for large numbers of branch counters, but principally that banks have learned that the worst scenario for them is not only having a queue, but having a queue and at the same time having unmanned counters (even worse, incidentally, is a queue, unmanned counters and other members of staff visible to the people in the queue, but clearly not having an intention to open up one of the closed tills). Banks also have continually tried to introduce new technologies in branch to ease the pressure on the branch counters – these have had great success in many ways, but still there is an issue with queues at peak times. Time Consuming Transactions – Another issue faced by banks and building societies is the complexity of different issues that can be raised by someone at a branch counter – many of which counter staff are unprepared or unable to deal with either quickly or successfully. The ‘irritation factor’ felt by someone queuing and witnessing that counter points are rendered ‘not available’ by a customer with a query that is taking a long time to resolve is amplified significantly. Equally, local business customers, paying in their small change at the busiest time for the branch is another event guaranteed to cause irritation amongst those in the queue. Unlike supermarkets, there’s also only one queue, so you don’t have the luxury of getting in the queue where you can see the customer has just done a ‘big shop’! Counter Referrals – Some banks and building societies still look to cashiers to make ‘counter referrals’ which is referring someone from the counter to advisors to have a discussion about their financial arrangements. Queues are the enemy here too – a customer who has been in a queue is the least likely to be interested in being referred and at the same time, busy periods represent the time when there is most opportunity in terms of volumes of customers. Bank Bashing – With ‘bank bashing’ now having become a popular pastime in the UK since the Banking Crisis of 2008, the ability of banks to manage queues has become even more critical. Customers are less forgiving of the banks now if they don’t properly manage queues fuelled by the furore that has been fuelled against banks in the media. Staffing Efficiently – Whilst supermarkets have staff they can call on to work at the checkouts (those filling the shelves etc. ), because staff numbers in banks are usually limited and aimed principally at looking after customers in-branch, they do not have the luxury that supermarkets have to move staff around. it is difficult for banks and building societies, however, to efficiently manage a working day that lasts only 8 hours (less for smaller branches that may still close at 3.30pm) when there will be 3 peaks – immediately on opening, lunchtime and just before closing. People want to work for enough hours to make it worth their while working at all and bank staff need to be trained and experienced in systems, products and dealing with customers. So with staff numbers in branches being typically around 10-12, ensuring every counter is manned at peak times is difficult – especially when holidays, sickness, lunch breaks and pressure on staffing levels generally are factored in. The principal benefits are increased customer satisfaction and lower complaint volumes (both of which will lead to increased customer engagement and better retention). Being able to measure queues isn’t just a stick with which to beat the poor old Branch Manager. Better knowledge and awareness of where the problem areas are help resources to be managed better and spread more acutely to tackle problem branches at an Area, Regional and National level. Better measurement will even help branch location planning to see where existing premises are either too large or too small. It will also inform where more focus needs to exist on installing technology in branches to reduce queue length by giving customers alternative ways to transact. It will also help focus Marketing activity on encouraging customers in branch catchment areas with the biggest queue problems on using telephone and internet banking more. If you would like more information about the innovative new approaches that have been developed by Inaccord and MOit in this area, please contact us at info@inaccord.co.uk.